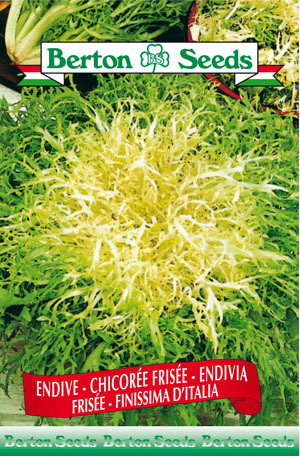 Very similar to the Frisee variety, this endive has finely curled green leaves which form a bulky, semi-upright head with a whitish yellow heart. Sowing instructions: Plant seeds 0.5 inches deep from June-July. Transplant seedlings at the 3-4 leaf stage from July-August spacing them 12 inches apart and spacing rows 18-20 inches apart. Harvest from October-November.